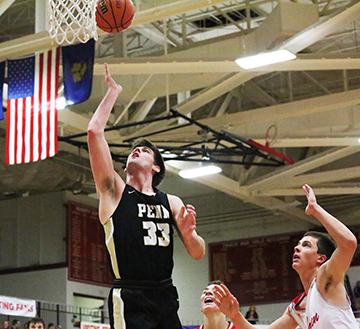 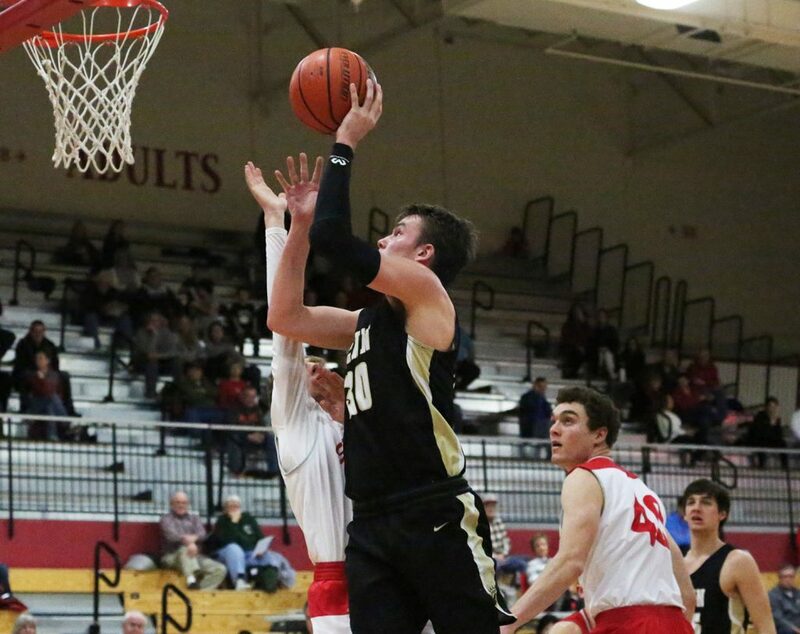 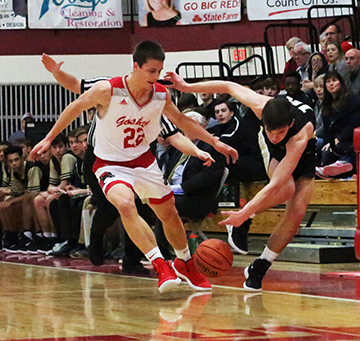 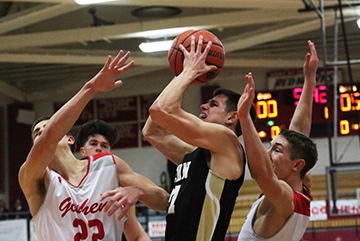 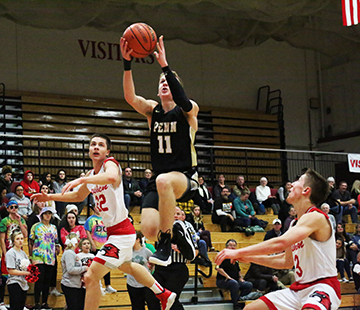 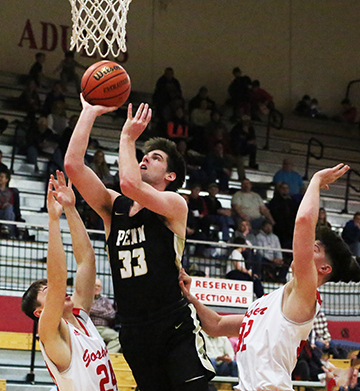 Senior Noah Applegate became Penn’s All-Time Boys Basketball Career Scoring Leader, breaking a 55-year-old standard, and the Kingsmen overpowered Goshen, 80-57, in high school action on Saturday, Jan. 26, 2019. 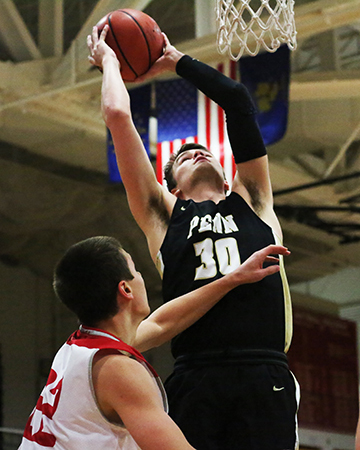 Applegate scored 20 points in the victory. 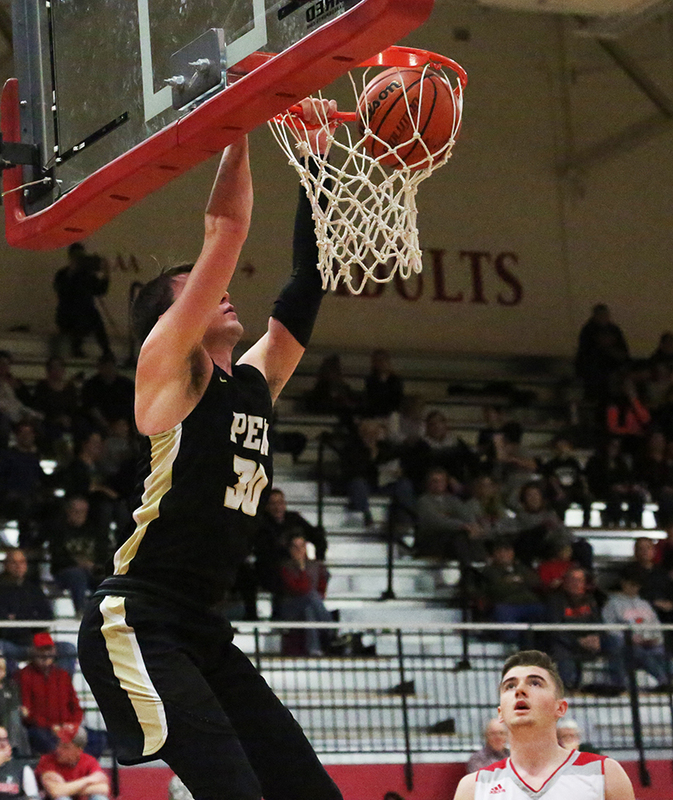 The 6-foot-6 Hillsdale commit surpassed the previous mark of 1433 points set by Keith Berkey (1960-1964) with a basket in the second quarter. 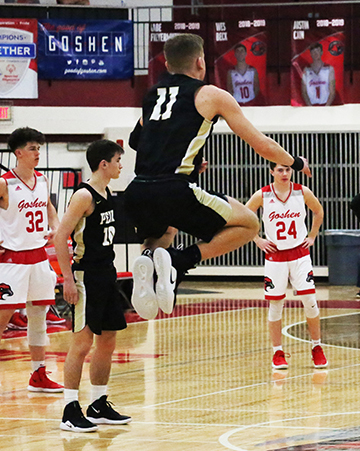 Applegame now has 1,445 points. He also had four rebounds, three assists and three steals. 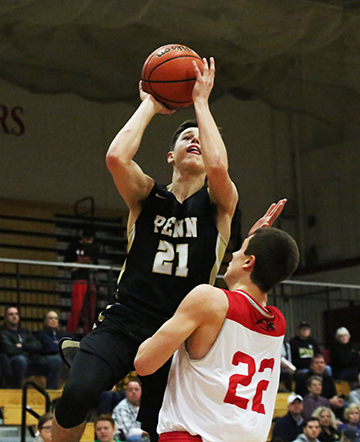 Drew Lutz led Penn with 24 points, eight assists and five steals. 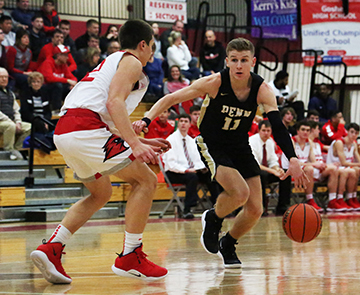 Beau Ludwick turned in an exceptional effort for the Kingsmen with 11 points, seven rebounds, five assists and seven steals. 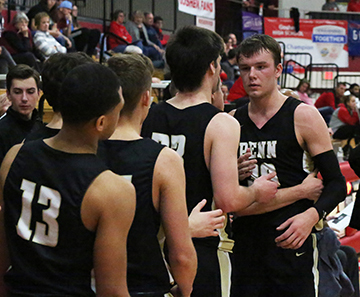 Kegan Hoskins scored 10 points and battled for seven rebounds. 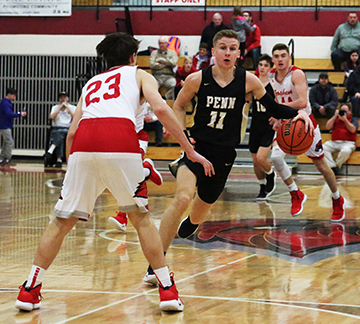 PENN 80: Carter Hickey 6, Drew Lutz 24, Beau Ludwick 11, Evan Groves 0, Richard Brooks 3, Derek Derda 2, Noah Applegate 20, Caleb Applegate 2, Kegan Hoskins 10, Gavin Ruth 0, Casey Shultz 2. 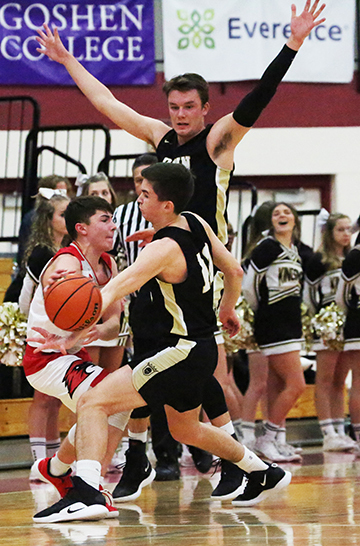 TOTALS 28 18-26 80. 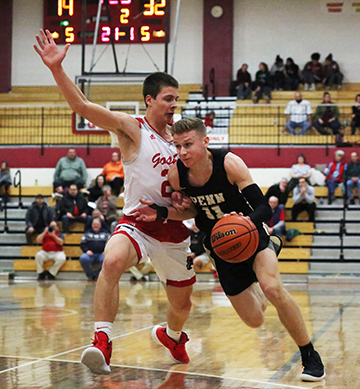 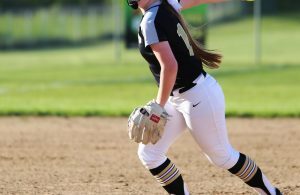 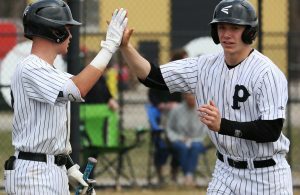 Goshen 57: Drew Hogan 6, Ryan Harmelink 0, Zack Barker 9, Wes Beck 0, Austin Cain 2, Joseph Good 3, Jarah Byler 2, Eric Newell 11, Porter Revoir 9, Ben Brontrager-Singer 0, Bryant Robinson 15. 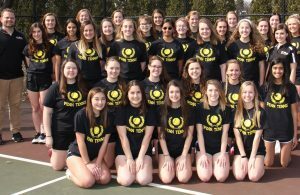 TOTALS 21 6-12 57. 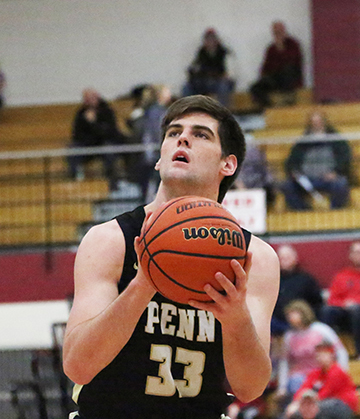 Three-pointers: PENN 6 (Drew Lutz 3, Carter Hickey 2, Noah Applegate 1), Goshen 9 (Barker 3, Newell 3, Robinson 2, Cain 1).